Over the years, I've tried a good many of the chicken products available on the market. 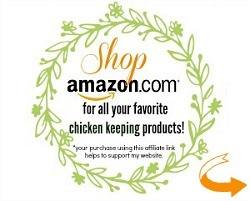 My chickens have sampled and tested all kinds of treats, feeders, bedding and other products. We've loved some and hated some. I am constantly asked for recommendations from readers and asked by companies to review their products. I find myself using some companies and brands over and over because their products, customer service, price and quality are superior. I only work with the best, so here for your shopping convenience are some of my favorite products and companies that I personally have used and highly recommend. 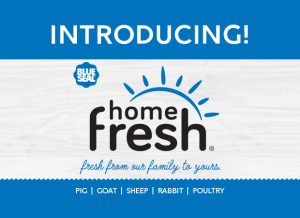 Blue Seal is the official feed here at the Fresh Eggs Daily Farm and sells a full line of chicken feed from hatch through laying stages, as well as horse, rabbit, pig, cat and dog foods. 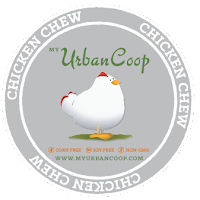 Chicken Chew from My Urban Coop is a whole grain, corn-free, soy-free and non-GMO feed that comes in fun "flavors" like Plump Pumpkin and Frisky Flax. Sourced and manufactured right in Texas. Scratch and Peck Feeds sells organic, non-GMO feed, grains and supplements not only for Chickens but also for Turkeys, Pigs and Goats from their mill on the West Coast. Fresh Eggs Daily® Garlic Powder and Brewer's Yeast is a beneficial supplement that I add to my flock's daily feed for the niacin (Vitamin B3) which is important for proper bone development, as well as immune and respiratory system benefits. Fresh Eggs Daily® Organic Coop Kelp is a powerful organic prebiotic which aids in digestion and provides essential vitamins and minerals to your chickens for healthy egg production and increased hatchability. Chubby Mealworms sells dried mealworms in packages sized 8oz. to 66lbs. Grubbly Farms sells 100% natural US farm-grown dried grubs packed with protein and calcium. Use FRESH for 15% off! 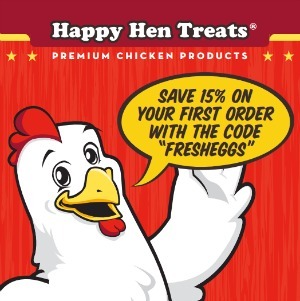 Happy Hen Treats is a trusted source for a variety of chickens treats and other accessories. 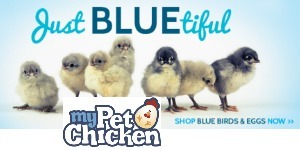 Cackle Hatchery offers over 190 different varieties of poultry and has been shipping day old chicks since 1936. 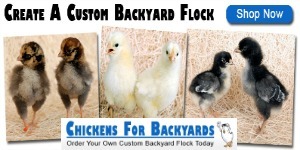 Chickens for Backyards offers one day-old chickens, ducks, turkeys, and guineas and only requires a minimum order of three to make it easy to start, or add on to, a small backyard flock. 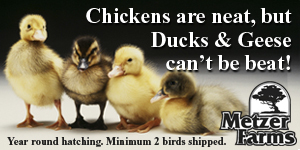 Metzer Farms is a family-owned business (running since 1972) offering a wide variety of duck and goose breeds and offering a low minimum order of just two ducklings or goslings to help you get started with your flock. 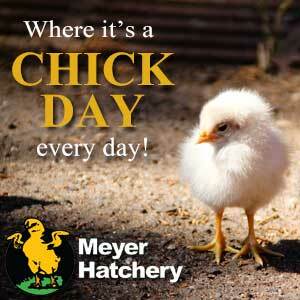 Meyer Hatchery ships a wide variety of chicks, ducklings and juvenile chickens, turkeys, ducks, geese, guineas and quail, as well as fertile hatching eggs - all with low minimum orders. 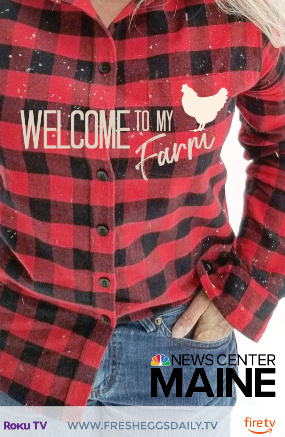 Also gifts and supplies for your coop and kitchen. 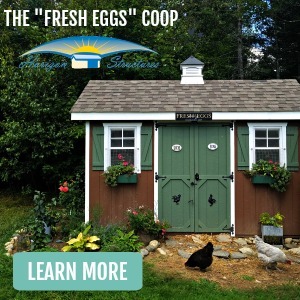 My Pet Chicken is a boutique hatchery offering a wide variety of chicken breeds, including their own Favaucana, plus coops and all kinds of supplies for your pet chickens. Horizon Structures sells a wide variety of chicken coops in various sizes, coop kits as well as sheds and other outbuildings. 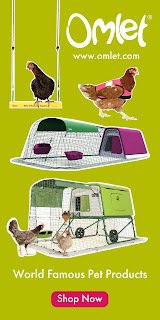 Omlet sells beautiful, easy to maintain products which give you more time to spend with your chickens. 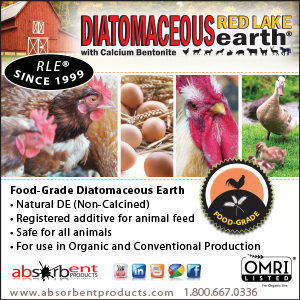 Absorbent Products offers a naturally occurring blend of diatomaceous earth and calcium montmorillonite for superior absorption. Organic and food-safe it can be added to feed as an anti-caking and insect control agent as well as a coop bedding additive. Sprinkled in and around the feeders, it reduces the number of flies and helps keep the coop parasite-free. 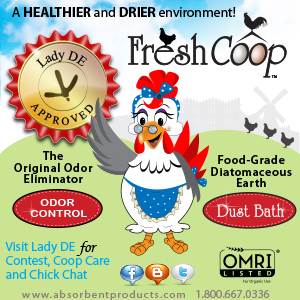 Fresh Coop™ Odor Control eliminates harmful ammonia levels, controls odors and absorbs moisture to provide your backyard chickens with a healthier and drier environment in the coop. Organic Coop Confetti® is my signature mix of organic nest box herbs which will help to keep your coop smelling fresh and looking beautiful! It is the Country Living magazine Blue Ribbon winning nesting herb brand! 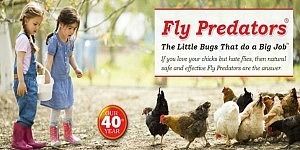 Spalding Fly Predators are the preferred natural fly control method on our farm. Trust me, they work! 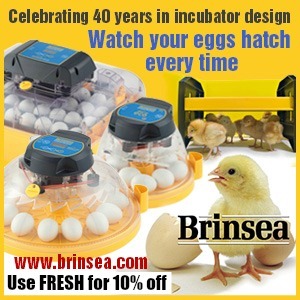 Brinsea sells our preferred incubator and brooder EcoGlow heater. Take 10% off any order using the promo code FRESH at checkout. 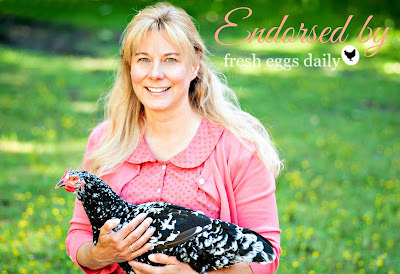 Eggcartons.com sells a wide variety of egg cartons, egg baskets, egg scales, nesting boxes, incubators and so much more. Lehman's sells chicken supplies and other accessories for a simpler life in the coop, home and garden. 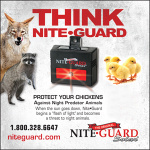 NiteGuard Solar protects your chickens while they sleep from predators that lurk in the night. 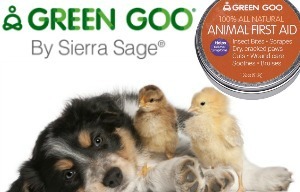 Green Goo is my go-to herbal first aid salve for our farm - we use it on our livestock, pets AND people! Kochi Free is an all-natural coccidiosis preventive and treatment. Nutri-drench offers a burst of nutrients in a molasses base to give a leg up to an ailing chicken. Rooster Booster offers a line of natural health and first aid care products for your chickens. Vet-Rx the all natural respiratory relief product for your flock. Hunter Boots makes durable rubber rain boots in a rainbow of colors for the fashionable farm girl. LL Bean. We live in Maine. Need I say more? The Original Muck Boot Company sells work and play boots to keep your feet warm and dry in style. Tradlands makes high-quality essentials for women, inspired by classic menswear. If you’re like most Tradlands fans, you're a tomboy at heart. Like me. Botanical Interests sells organic flower, vegetable and herb seeds in beautifully illustrated packets. They make a wonderful stocking stuffer or gift in addition to a great source for seeds for your own garden. 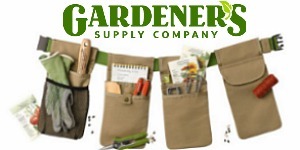 Gardener's Supply Company sells a wide variety of supplies for the discriminating gardener. If they don't sell it, you probably don't need it. Herbal Academy of New England offers online herbal courses that you can enroll in and move at your own pace. Choose from the introductory or intermediate course. 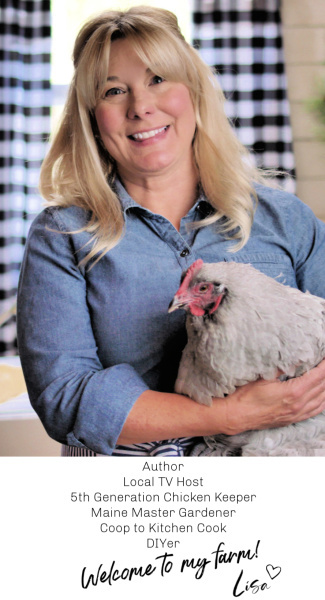 Chickens Magazine is a bi-monthly magazine focusing on raising chickens. Country Living Magazine embraces everything that's good about living in the country. HGTV Magazine brings the best of design and decor from some of the stars of their sister TV station. Hobby Farms is a bi-monthly magazine bringing you practical advice whether you farm for pleasure or profit. Your Chickens is the superb monthly magazine for British henkeepers - and those of us 'stateside' too! Amazon sells anything and everything you can't find elsewhere. I've gathered all my favorite products in one convenient place for you. Ball Canning jars for canning and preserving available now in the heritage colors green, blue and purple. Thank you for supporting our sponsors. It's because of them that this site continues to run. Some of these links are affiliate links, meaning if you click on the link and purchase something, I may receive a portion of that sale, at no additional cost to you, however I always only recommend companies/products that I personally work with, use and can recommend in good conscience. Interested in advertising your product or company here? Email Me for Details!